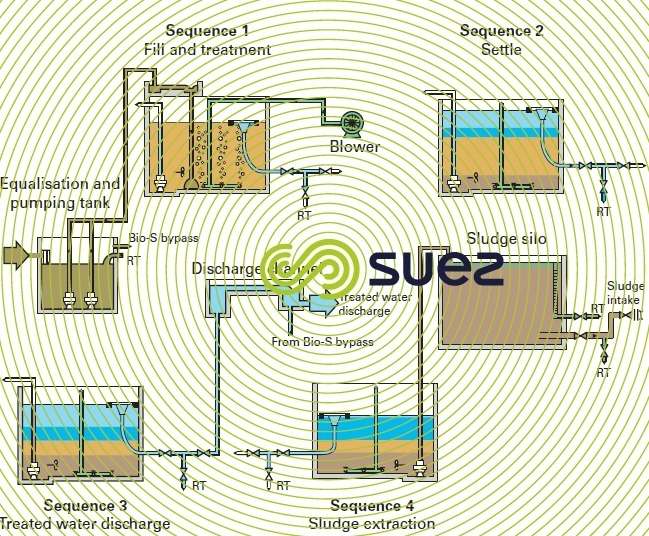 The Bio-S is a treatment plant that uses low load activated sludge, with one single reactor that uses the SBRprinciple. 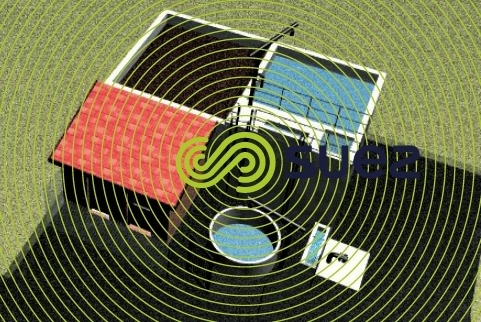 The Bio-S has been designed and standardised for small communities with a 200 to 2 000 PE capacity. These systems are available with steel or concrete tanks. The Bio-S comprises a variable level biological reactor linked to a buffer tank that is used to store the influent and to provide the biological reactor with an intermittent input. removal of excess biological sludge. The number of daily cycles and the duration of the different phases can be programmed according to throughput fluctuations and to raw water properties. The Bio-S has been designed to run on a 24-hour cycle or on two 12-hour cycles in the case of highly concentrated water, or on two 12-hour cycles or four 6-hour cycles with more dilute water (classic urban wastewater). a system management mechanism quipped with a programmable logic controller and remote surveillance. Areas of application primarily involve typical household wastewater and agri-food industry effluent (especially dairies and cheese-makers). easily integrated into the site. Photos 14 and 15 illustrate the compact nature of the system (1 single «block») and its ease of integration into the site.